April 2018. Muna, 27 (on the left) and her new flatmate Sawsan, 33 (on the right). 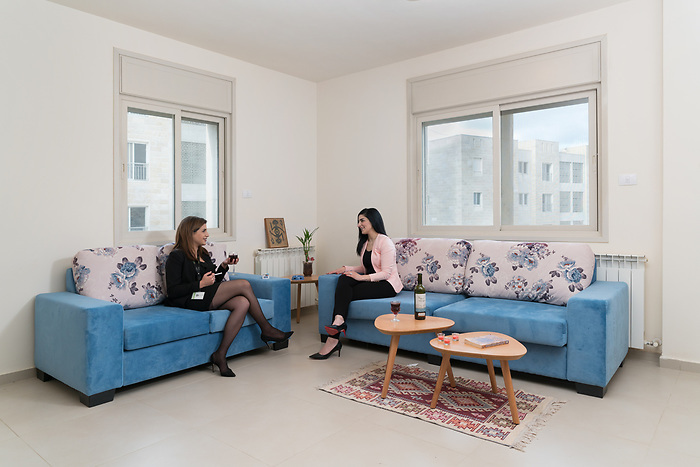 The two women work in the “Q center”, the open air mall located at the heart of the city, and live in rented apartment. The two women, who present themselves as ambitious and independent woman know each-other from university. Muna says she appreciate that women can find opportunities in Rawabi. Their work represent most of their life occupation, there is no much time left out of working time, only to appreciate a glass of wine after a working day.